First off, it is good to be back. I have not written an article in quite some time. Magic has taken a back seat to other things but I am starting to get back into the swing of things. I never fully gave up on Magic Online but my time and desire to play was severely dampened. Oddly enough it was when I finally decided to play Magic The Gathering: Arena that I had my joy for the game restored. I will not go into a ton of detail on Arena because this site is for MTGO, but something about it made me want to play Standard again. During the time I was playing on Arena the prices on MTGO dropped fairly low for Standard. It was then that I decided to get back into it. This was right before the release of Ravnica Allegiance and my deck of choice was the Boros Aggro deck. White based aggro was very strong and the red splash gave it great sideboard options. I enjoyed the deck and had some success with it but it just felt a bit off. I knew that when Allegiance became legal things would change and with that change came a change in deck choice for me. This deck was a blast to play. I knew that I would not play this deck forever but I wanted something quick and effective to grind with and this deck was exactly that. The builds of this deck vary but most of them have the same core. Quick effective creatures and a lot of burn. 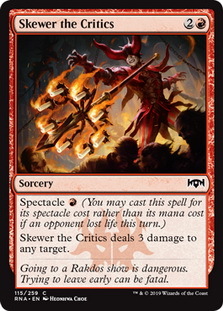 The addition of Light up the Stage and Skewer the Critics gave this deck exactly what it needed to stay dangerous. Light up the Stage gives you card advantage much faster than the Experimental Frenzy , but it's not as long lasting. 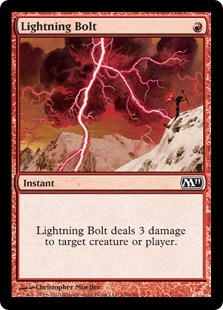 Skewer is a sorcery speed Lightning Bolt and is even seeing some Modern play. 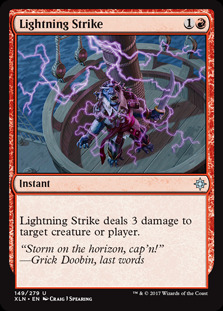 Together that have given the red deck the ability to win much faster than its previous versions. Which is very important considering control decks have gained Absorb . I was able to 3-2 and even 4-1 a few leagues which allowed me to gain a bunch of treasure chests. I slowly built my way up to the next deck that I wanted to try out. I played this deck back when Ravnica first came out. I really enjoyed it but it seemed like it was missing something. 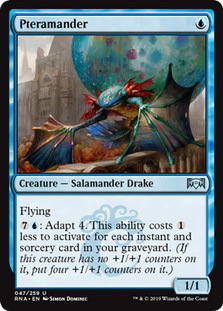 Pteramander adds another threat to the deck that also fits the instant/sorcery theme. A one drop flyer that becomes bigger and also makes Chart a Course better seems like a great thing. 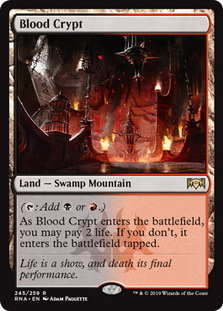 Discovery/Dispersal was also a new addition to me, and there is even a Blood Crypt to help with the Dispersal side of the card. I like this deck and it is fun to play but I am not the best pilot of it. There are a lot of decisions to be made and you have to know what threats to play and when to play them. You have access to a lot of card draw but there are choices to made. A wrong choice can cost you the game. Many games that I have played have come down to poor decision making on my part. If this is a deck you are interested in playing, I would suggest watching some video from the past open. Brad Carpenter took the deck to a 6th place finish and was on camera enough for you to see some of the tough decisions and choices the deck has. I would also suggest getting in a lot of practice with the deck. As I already mentioned there is a lot of play to it. 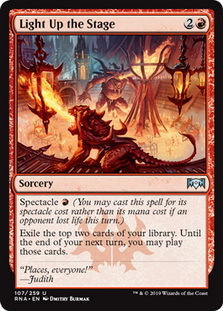 It does really well against the mono red deck and low to the ground aggro decks like Mardu Humans. It is also not bad against the midrange decks like Sultai or Golgari. If you can stick a threat and protect it, you can win those games. 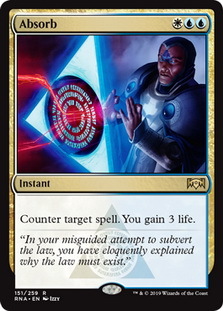 I have ­been struggling with Esper control and the 4C Gate decks but it may just be player error. Esper has a lot of answers and gates can easily wipe your board. I have added a Negate to the board but I am not sure the cards are the issue. I may keep practicing with this deck but there is something else that caught my eye. 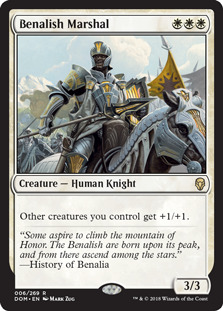 This version is an upgrade from the Boros version. Deputy of Detention punishes those that play out multiples of the same permanent and cleans up tokens very nicely. Yes, it dies to Lightning Strike , Lava Coil , and a bunch of other removal. 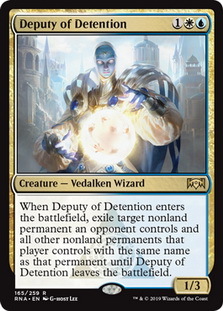 It does do a great job of cleaning up threats and permanents that white weenie usually can’t handle. 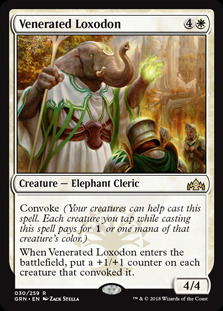 The rest of the main is a swarm of cheap creatures and great anthems in the form of Benalish Marshal and Venerated Loxodon . History of Benalia and Legion's Landing provide you with even more creatures and Conclave Tribunal gives you another way to deal with problematic permanents. 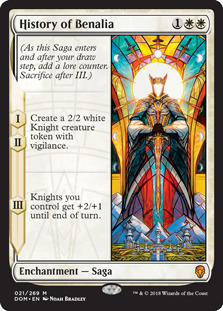 Allegiance also gave the deck Unbreakable Formation> which can serve as another anthem or “counter” to a wrath effect. This deck has a great game one especially on the play and with the blue splash has a decent sideboard as well. Now that the deck shifted its version of law keeping to the Azorius guild, it gained a sideboard that actually can keep it in certain games. There were plenty of times when I was playing the Boros version that I just felt I had to win before the sweeper or the game was just over. Now that there is access to counter magic, I really like how this deck matches up against the meta. Not only is there Spell Pierce but you have Negate and Disdainful Stroke . 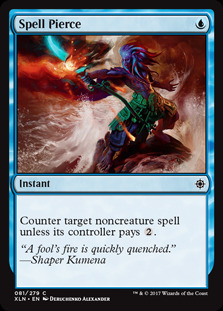 Now control decks not only have to care about your steady flow of creatures but also if you have a counterspell in your hand. 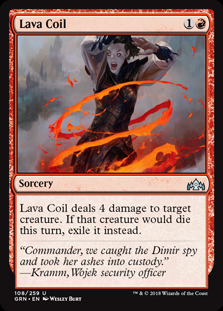 Also, the midrange decks can’t just slam their mass removal spell and expect it to be good enough. They have to wonder if you have an answer to their answer. Having Ajani in the board gives you another threat to bring in against the midrange and control decks. I even had the joy of watching one player ultimate his Ajani and just make cats every turn until he won the match. 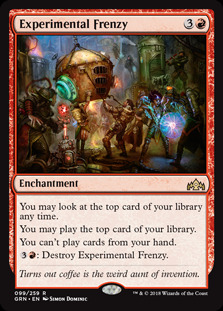 In the past, I always enjoyed when Ravnica was in Standard. This is no different. There are many viable decks and there is a lot of fun to be had. Find what you like, or maybe even try to brew something new. No matter what you do, have fun. It is a great game!